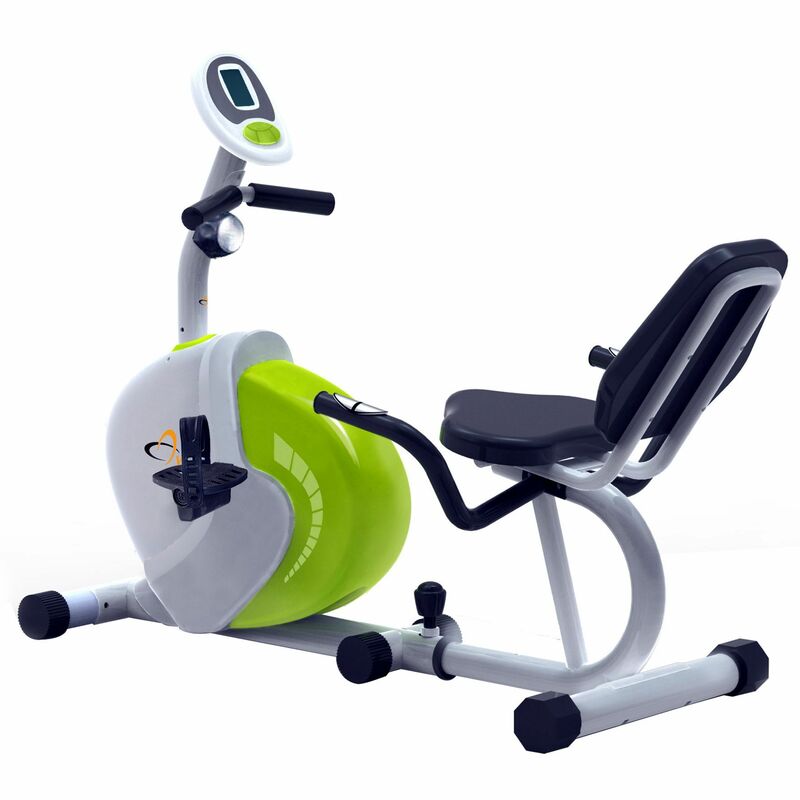 The V-fit 99 Series RC recumbent magnetic exercise bike has been designed for home use. It has a 5kg (11lbs) flywheel and 8 levels of manual magnetic resistance. It features a sit flat front, dial adjust rear frame end caps, reach adjustable seat and backrest, and self- presenting pedals with adjustable footstraps. The large LCD monitor provides feedback on calories burnt, distance, pulse, speed, time and total distance modes. The heart rate is measured by means of handgrip sensors. The machine is 135cm (53”) long, 64cm (25”) wide and 100cm (39.4”) high. The maximum user weight is 115kg (253lbs). for submitting product review about V-fit 99 Series RC Recumbent Magnetic Exercise Bike.